The airline's success contrasts with a poor year for Cadbury, M&S and Heinz. The internet's packed with 'top brands' lists as every market research firm and marketing consultancy lines up to give its two pence worth. But none come with more fanfare than the annual Superbrands survey, which has been going for 20 years and commissions an indepent survey of 2,500 members of the public to find out which brands Britons love the most. 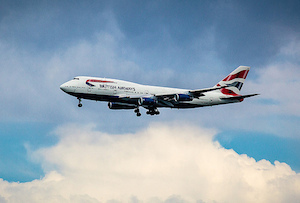 This year’s list is topped once again by British Airways – perhaps not the sexiest of brands, but one which people respect and generally see as representative of quality and good service. The news will add cheer to BA owner IAG, which is probably still celebrating the 95% jump in profit it reported on Friday. BA also topped the ‘Business Superbrands’ list, which ranks how brands are seen by marketers and other professionals. Online brands suffered, with Google dropping 11 places to 18th and Amazon falling out of the top 20 altogether. But the more established tech giants did well. Apple, buoyed by the success of the iPhone 6, was up four places to 10th, and Microsoft was up to two places to 4th. Household goods did fairly well, with Gillette coming seventh, Kellogg’s in 9th, Andrex in 12th. But store cupboard stalwarts Heinz and Cadbury were knocked out by the likes of Haagen Dazs and Fairy. Most big retailers are particularly notable by their absence – no supermarkets made the list and nor did Marks & Spencer, which fell out of the top 20 for the first time since 2009. This fact will be all the more painful given the success of its rival John Lewis, which came in at 6th after failing to rank last year. Has the Great British public got a new favourite retailer?